All lessons are 30 minutes at a rate of $25 per. Lessons are paid in blocks of (4) – securing the same scheduled time each week. We offer online lessons through Skype – Call and schedule your lesson time. 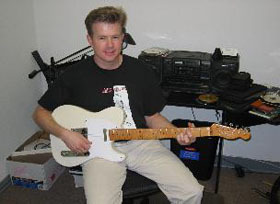 Sean has been teaching for 18 years, including 10 years at Lamb’s Music and 3 years at Mars Music in Arlington. Born in New Orleans, Sean started playing violin at the age of 7, and moved to guitar at age 9. He continued to play music through college, where he took courses in music theory, piano, and guitar. After college, Sean worked as a gigging musician, playing with a variety of musicians from small bands to Jazz big bands, participating in theater shows, and playing various venues like the Starplex in Dallas, the Civics Center in Denver, and the Rangers Stadium in Arlington. Sean also has played at various festivals around the nation and has done various studio work. 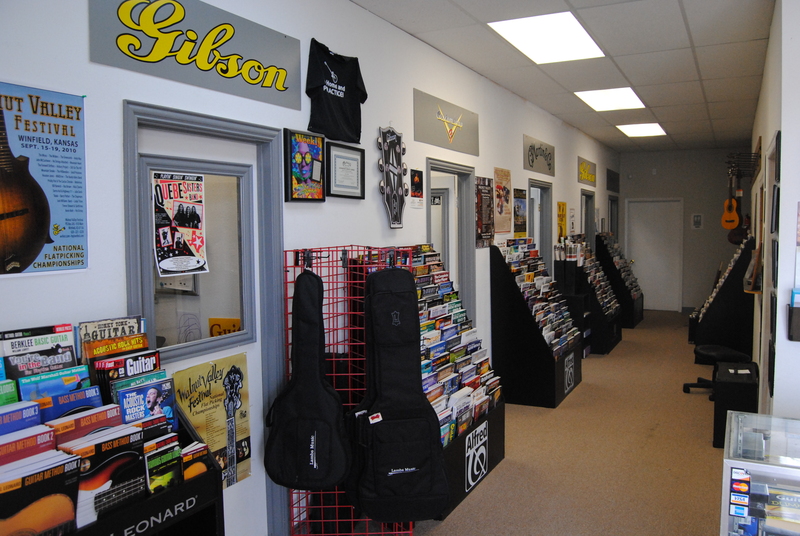 Sean has been at Lamb’s Music since 2003 and has a very diverse student base. He has taught a variety of styles to students of all ages from young kids to adults, including rock, pop, blues, jazz, country, finger-style, even some Classical. He can tailor your lessons around whatever your interests are. Steve studied ensemble and band music under Myra McNellie, current instructor at Stephen F. Austin State University School of Music, and Harris Cavender, a TCU graduate and student of Artist-in-Residence Lili Kraus. Steve has a Bachelor’s Degree in Fine Arts from Texas Christian University. 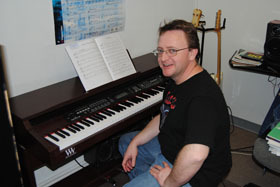 For several years, Steve has been playing keyboards and guitar for award winning local country and classic rock bands. He has opened shows for Toby Kieth, The Randy Rogers Band, Woody Lee, Perfect Stranger and Willie Nelson, and has also been nominated for several awards by the Metroplex Country Music Association and the Terry Awards. 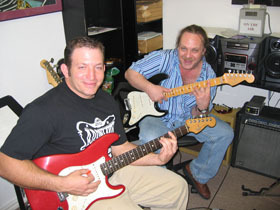 Steve currently plays in the classic rock bands, Backroads and Fourth Echo, as well as the country band, Brazos Point. He is also a part of the music ministry at Centerpoint Church in North Richland Hills. Clint Strong is a legend in Texas and known around the world for his remarkable technique, ideas, and musical vocabulary. One of the few jazz players to completely conquer the country music world while simultaneously setting bebop players on their ear, he easily makes the list of America’s most astounding players. As a very young teenage protégée, Clint’s musician father led him through the best teachers and players in Texas, eventually introducing him to Howard Roberts, who was an enormous influence on Clint. He performed with Red Garland, Howard Roberts, Herb Ellis and Tal Farlow, but is better known for his extensive touring and recording with country stars Merle Haggard and Willie Nelson. Jordan is pursuing a Bachelor’s of Applied Arts & Sciences degree with a Minor in Music and a Minor in Business Management from the University of North Texas in Denton, TX. 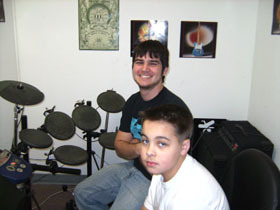 He has studied drumset under Ed Soph, Mike Drake, and Henry Okstel. He also has studied Baroque-period music theory, ear training, piano, as well as multiple business marketing and management courses. While attending high school and college, he played in the rock band The J. Walkers, putting out 3 albums and touring nationally. Jordan also produces albums and has worked with such artists as Joel Engle, a Christian recording artists with several Top 10 songs, author, worship leader, and pastor, and Beau MacDougall, a former Sheryl Crow guitar player. Jordan currently is a part of the music ministry at The Exchange Church in Keller, Texas and runs a production studio in Denton, Texas.